M/T Tärnvind was built 1981 in Kalmar, Sweden. She's 106,14 m long and 15,73 m wide. M/T Tärnvind is on 6150 ton DWT and can load 6970 m³ (98%) in 16 tanks. She has 4 CT and 10 WT + 2 slop tanks. She has a ballast capacity of 1916 m³. She takes 328,3 m³ heavy fuel and she uses 12 ton/ day at service speed 12 knots. She takes 74,7 m³ diesel for her auxiliary engines. Closed loading system by vapour return line. High level alarm, distance reading thermometer plant in CCR and level meter on deck and SAAB radar. Cargo heating system is removed. She is still going strong, Swedish quality. They don't build ship like this today. Monday 11th of December 2000 and I signed on M/T Tärnvind in Skarvikshamnen in Gothenburg and I think we were loading for Gulfhamn in Denmark.? At least I think so. 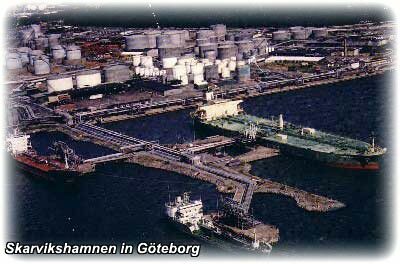 But I'm not sure and it would be strange because GULF and later Q8 had their Danish refinery there. So why would we discharge there and not loading? Maybe they had closed down the refinery in 2000. Before this refinery was shut down we used to load there. But now they have some storage tanks there or something, anyway they have something there and it's not very important to know what. Anyway, I think we loaded at Preem's refinery in Skarvikshamnen for Gulfhamn. 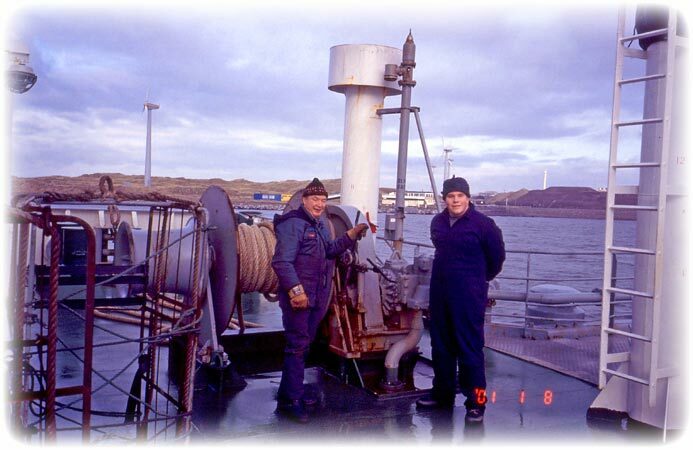 M/T Tärnvind was chartered by Preem until just before I signed on. Now we had some work to do changing all our papers onboard. Now it should be Tärntank logo and not Preem logo on the paper work, otherwise it's pretty much the same paper works. Anyway we are still transporting oil for Preem but on a "per voyage basis". The Chief Officer stayed onboard for 1 trip, or maybe he signed off in Gulfhamn, I don't remember. 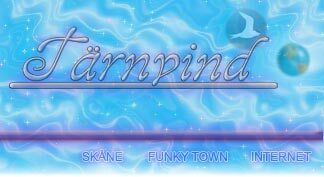 I knew Captain from Tärnfors. He had been working on the ferries between Sweden and Gotland during the last summer and now he was back in Tärntank. Mostly we loaded in at Preem's refinery in Brofjorden and Gothenburg and we discharged at exciting places around Sweden and Denmark. Yes, it was very hard to handle the excitements. Tärnvind was an old ship but it's the ship I like the most of Tärntanks ships. There was no fancy equipment neither on the bridge nor in the CCR. 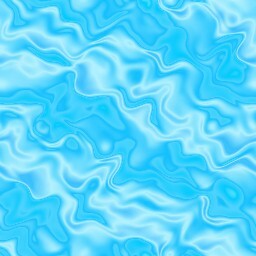 That's how I like it, just the basic stuff. I don't need the radar to be able to make my bed. We spent Christmas and New Year onboard, but it was business as usual. The refineries are on 24-7-365 and I had never been waiting at a refinery because of a holiday. Well, this is good, no time for me spending any money. On our way to Malmö when passing Kullaberg in the evening 11th of January they called me from Florida and asked if I could sign on in San Francisco 13th of January. 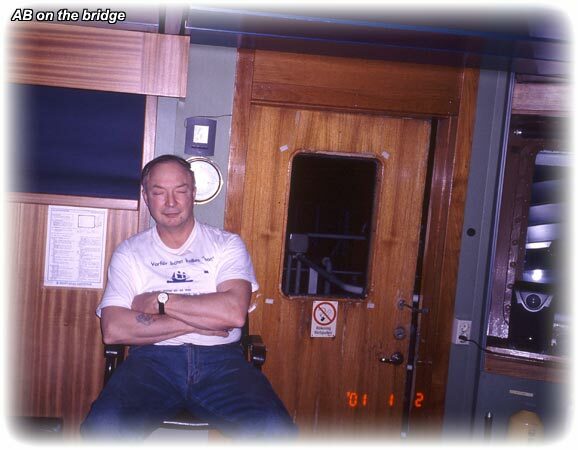 I signed off 12th of January 2001 in Malmö together with the 2nd Officer and we drove to Gothenburg. When I came home to my friend he had a giant "SEMLA" that we ate. Early in the morning the 13th of January I went to the airport and took a flight to San Francisco and signed on the ocean going tug Master Cody.